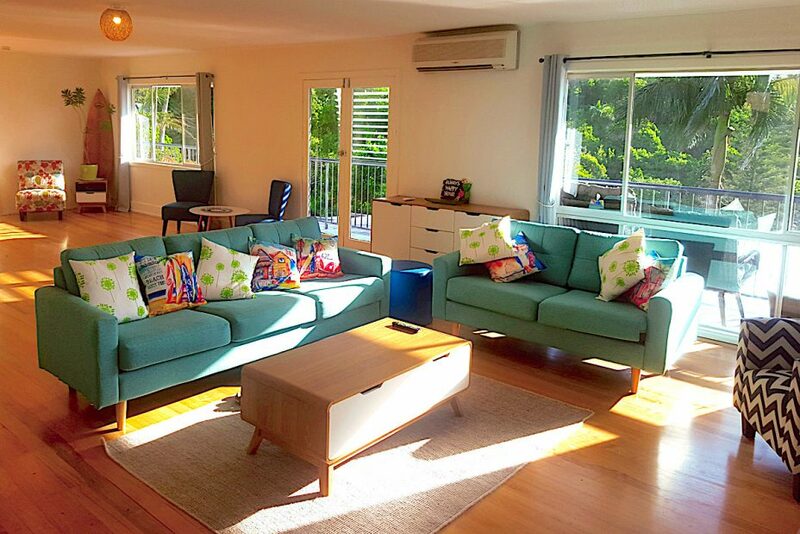 Spacious, Byron Bay accommodation, overlooking Wategos beach and Sleeps up to 14 guests. 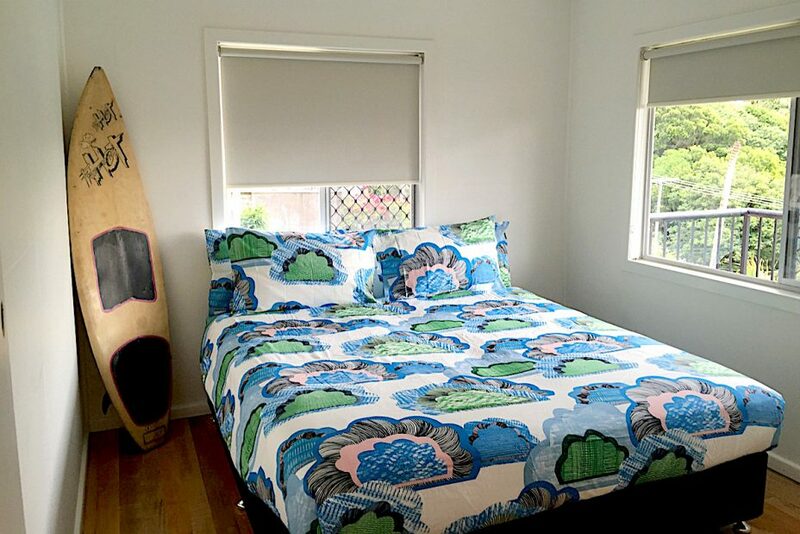 Wategos Surf Shack is the ultimate retro Surf House. 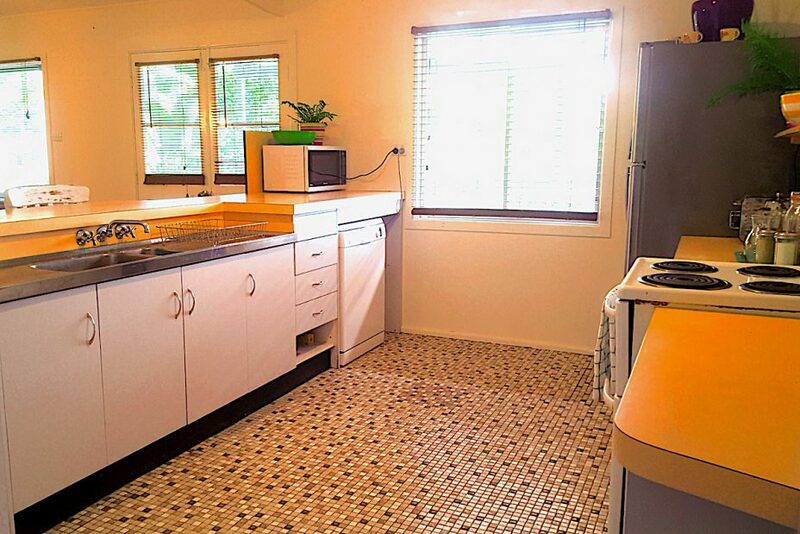 Newly renovated and overlooking Wategos Beach, it has 7 bedrooms with a huge kitchen and outdoor entertaining area. 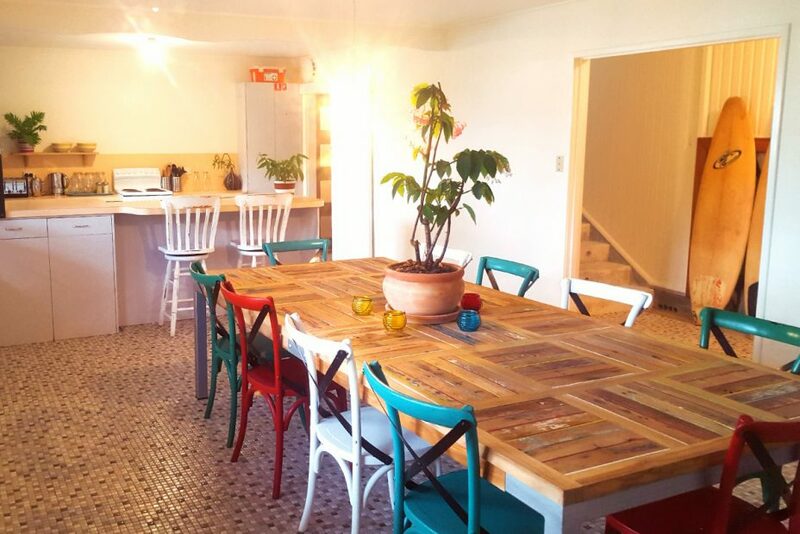 This property is ideal for families and groups of friends. 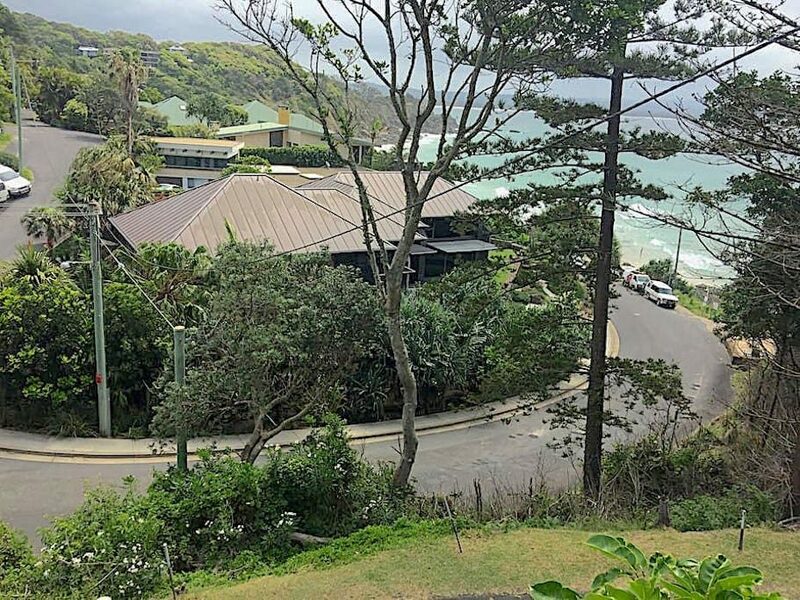 Wategos Beach is one of the most beautiful beaches in the world and is commonly known as where the rich and famous stay whilst holidaying in Byron Bay. It is also home to some of the best waves and surf breaks, not to mention the best spot for a beach BBQ. 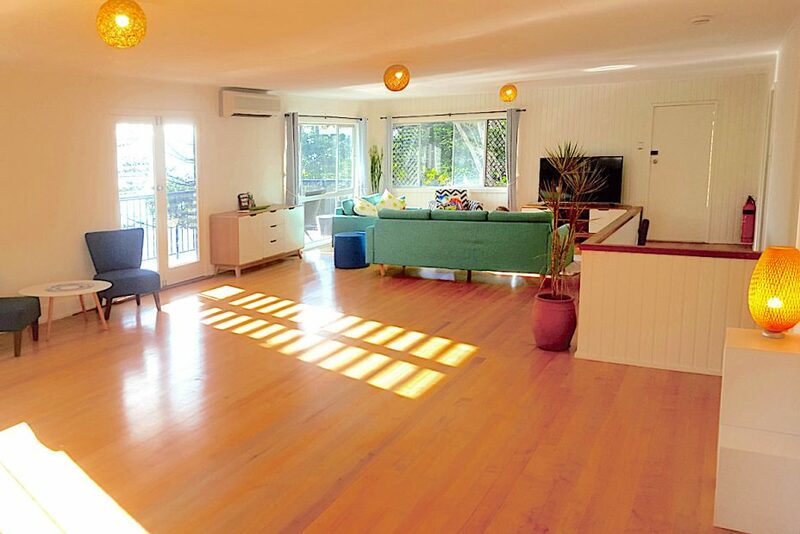 This sought after location is a must for all surf enthusiasts or guests wanting a relaxing Byron Bay holiday. 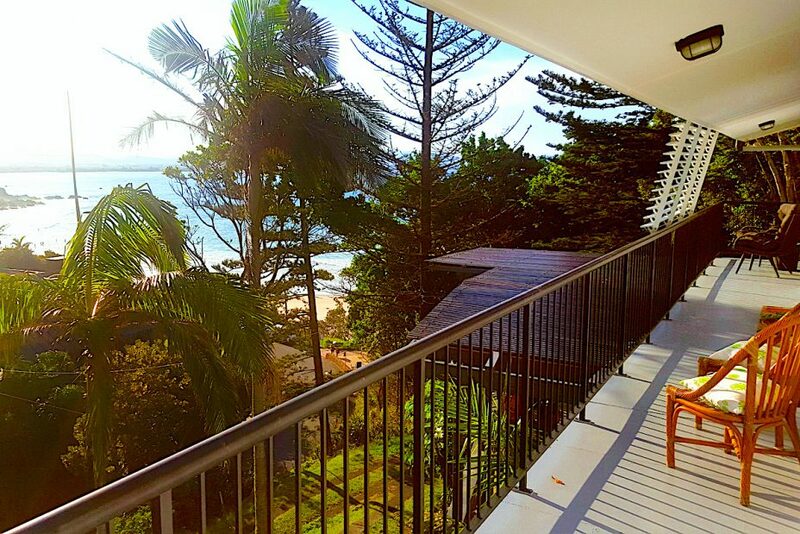 Located on the most Easterly Point of Australia, Wategos Surf Shack offers affordable accommodation and boasts an idyllic beachfront location with sea views. Sit up on the top floor balcony and take in the sunshine and stunning views or even spot some dolphins or whales. 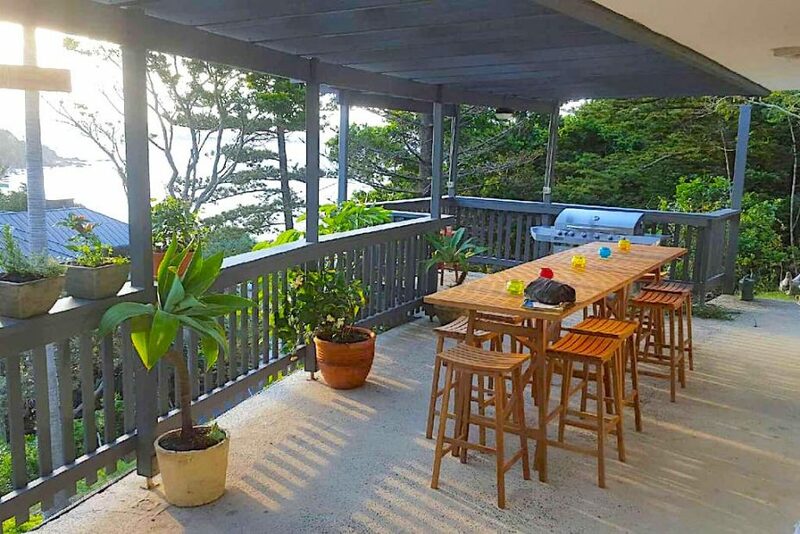 The house has a white washed, beach shack feel, renovated in November 2015 and is located just 1.5km from Byron Bay Town Centre and 1.4km on a walking track to the Lighthouse. 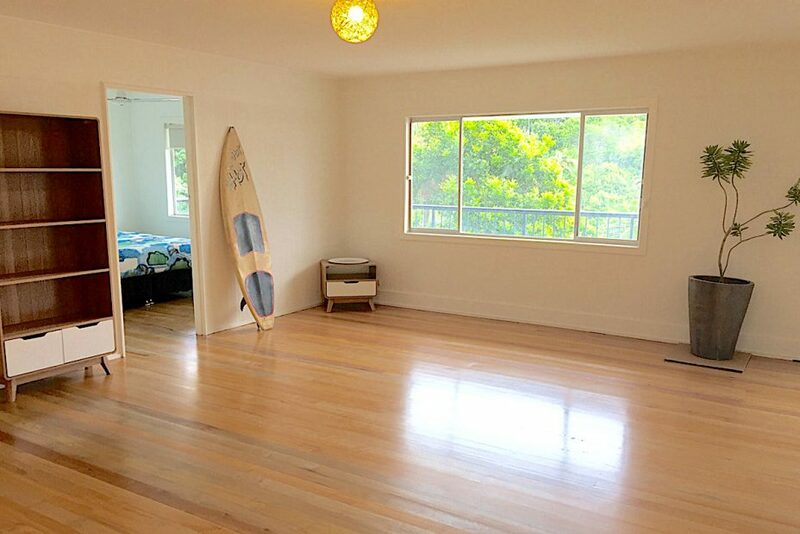 It is also walking distance to other well know surf spots like Clarkes, The Pass and Tallows Beach. Please be aware there is no parking available. There is only on street parking. 7 Bedrooms & 7 Bathrooms. Sleeps 14.